It looks like Mother Nature is celebrating New Years Eve by pounding the Red River Valley with another blizzard. 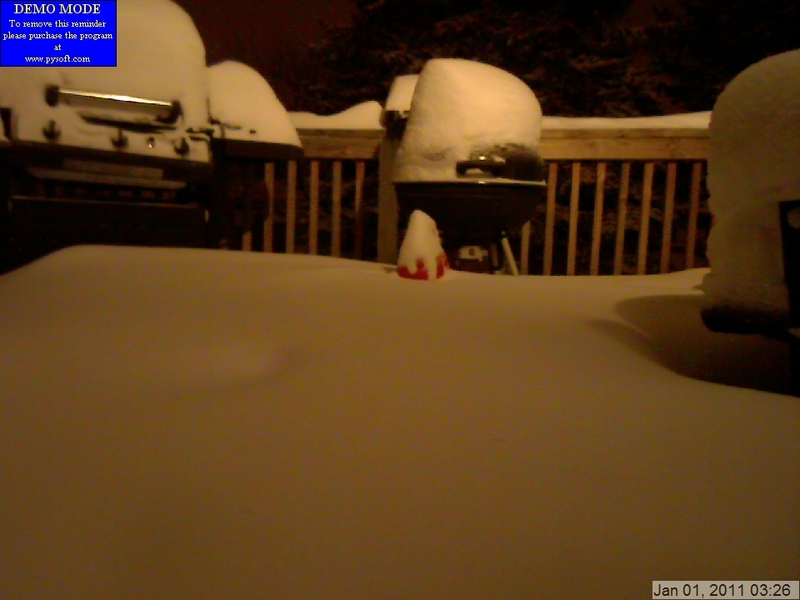 I have a webcam set up below showing a 13 inch tall plastic Santa Clause sitting on my deck. You may remember seeing him on the Weather Channel last Christmas (Youtube video here) when I had it set up for the 09 Christmas blizzard. The images below are the latest available and you will have to click refresh to update them over time. I hope to have the time-lapse loop set up after the blizzard. Happy New Years from Mother Nature. 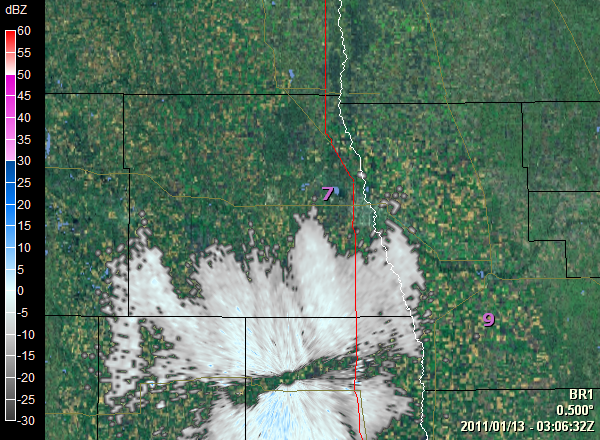 Radar Proof of the Grand Forks Weather Hole.